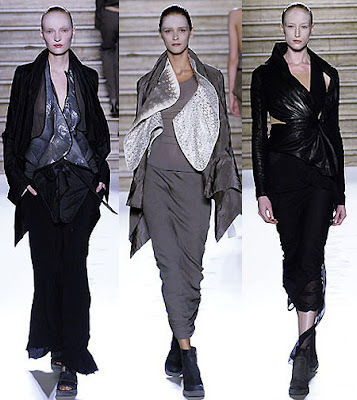 As a fashion designer, I’m inspired by many things around me. The imagery of a photo, scenery, sounds & musics, movies… just about everything! 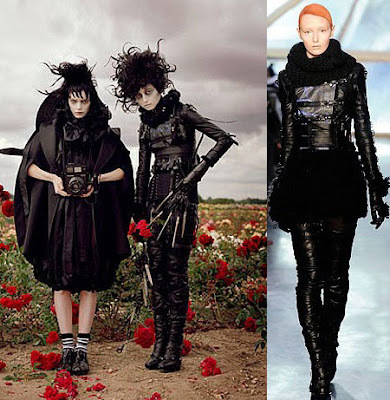 In recent conversations with a good friend of mine on facebook about “Goth” and it inspired me to do some research, finding imageries and articles about this mysterious & fascinating lifestyle which has inspired many arts & fashions. 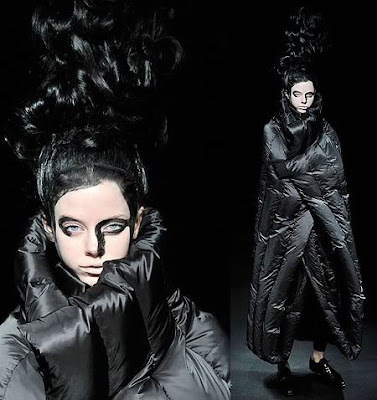 So what is “Goth”? 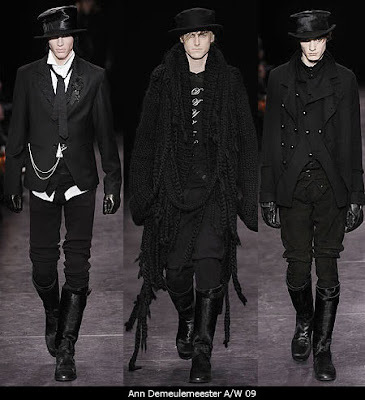 in simple definitions: To some, Goth is a style of dressing; to others it's a lifestyle. 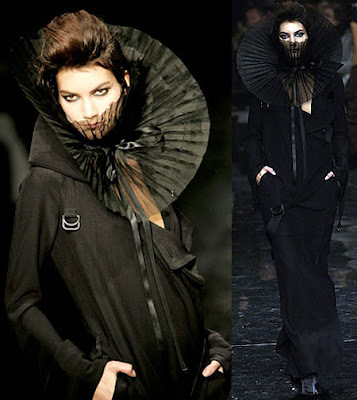 Either way, the gothic look involves very black clothing and very white makeup with edgy, tough accessories. Prime example of classic gothic style: Musician - Marilyn Mansion. But as a person with an inquiring mind ( yes I do read the trashy gossip enquirer magazine ok! 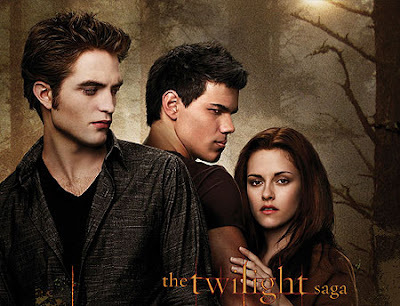 Haha) I know it has to be deeper than just the black clothing, smoky eye make-ups and of course ever so dreamy vampire Robert Pattinson aka “Edward Cullen” from the hit movie “Twilight”. But of course this is not the case for all Goths. Many Goths today are Goths for a variety of other reasons. They like the music, or the clubs are better, they have Goth friends and joined in with them, or they just like staying up late nights and Goths are the only ones awake to talk to. 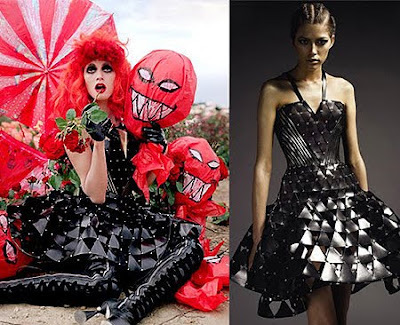 To us the fashionistas, the theme “Goth” has inspired many fashion designers over the years and here are some of the collections I think are super fabulous & go with our topic perfectly! 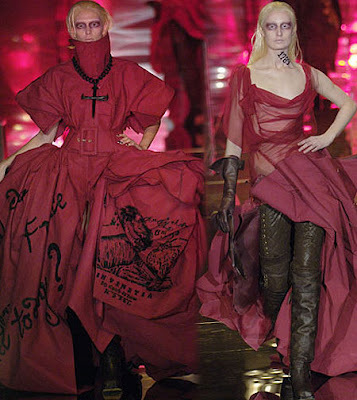 When John Galliano was traveling south to research his couture collection during summer of 2005 he was inspired with the French Revolution stories & history, so in Dior’s Spring 2006 Couture show, blood- and gore-spattered drama was the theme and to me, it’s also very “Goth Glam” ,too! As if Tim Burton’s characters all got together and did a fashion photoshoot, this amazing pictorial for the October edition of Harper’s Bazaar features characters from his past movies like The Night Before Christmas, Edward Scissorhands, Beetlejuice and more, all look amazing in designer clothing and shoes. 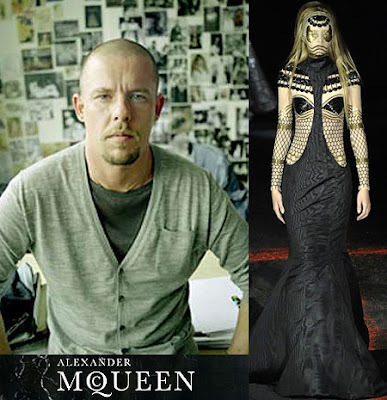 Of course how can we end this “Dark Glamorous” posting without mentioning one of my favorite designer Alexander McQueen! 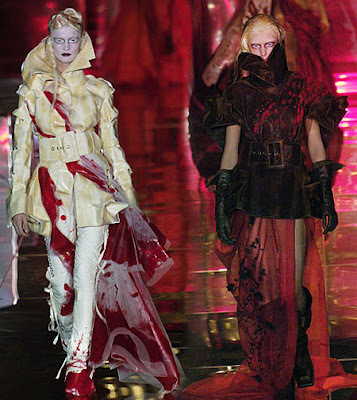 In this collection, McQueen had put a heartfelt personal passion into a collection that was based on a startling revelation from his family history. His mother, who traces family trees, discovered that her bloodline leads back to a victim of the Salem witch trials who was hanged in the Puritan hysteria of 1692. 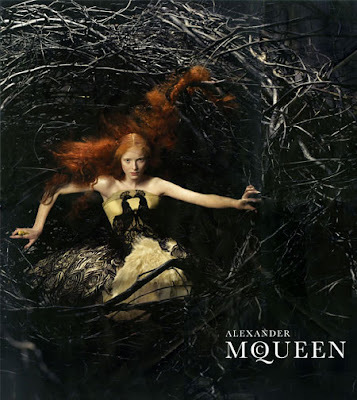 The themes of witchcraft, paganism, and religious persecution played on the dark and angry side of McQueen's creativity. All of you must be wondering ….how can I achieve that beautiful vampy smoky eye make-up to complete your Gothic Chic outfits & accessories?! So we have found 2 tutorials for our gal & dudes readers! Here is the female smoky eyes tutorials that shows you how to do it! Don't forget to check out our designer candles selections! D.L. & Co. is famous for his "Dark Glamourous" presentaions of his candles & diffusers! Utilizing the rarest of extracts, essences and absolutes, they are able to create fragrances that conjure time and place, transforming enviroments from the mundane to the sublime! it's a MUST HAVE for all fashionistas! click on the picture below to check out our selections of D.L. & Co's candles! 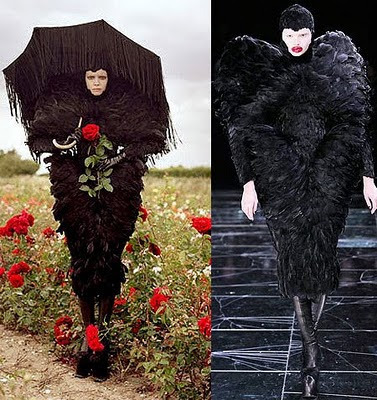 We hope this posting totally inspired you to bring out the “Dark” side of your inner Goddess! Until next time, Be well & look fabulous!